Meeting of the GUAM member states with head of the EU representative to the UN was held in New York. Permanent Representatives of Azerbaijan, Ukraine, Moldova and the Chargé d'Affaires of Georgia attended the meeting, Permanent Mission of Azerbaijan to the United Nations told Trend. The meeting was also attended by the Permanent Missions of Ireland and Poland. The sides discussed topical issues on the agenda of the UN and member states put forward GUAM. The meeting noted that the cooperation between the EU and GUAM is high and it is important to continue this cooperation. 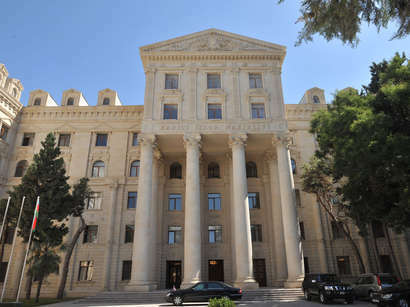 Along with this, the representative of Azerbaijan to the UN Agshin Mehdiyev informed in detail about the Armenian-Azerbaijani Nagorno-Karabakh conflict, the outcome of the attack of Armenia to Azerbaijan and the crimes committed against civilians during the war, including the Khojaly tragedy. 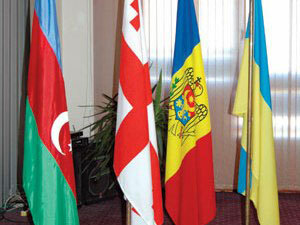 Member States have expressed their solidarity with Azerbaijan, and stressed the importance of resolving conflicts in the GUAM as soon as possible and eliminate the consequences of the war.